If the Supreme Court determines that the streaming TV service Aereo is breaking the law, the ruling "will have profound effects on the development of technology," one of the service's main financial backers says. 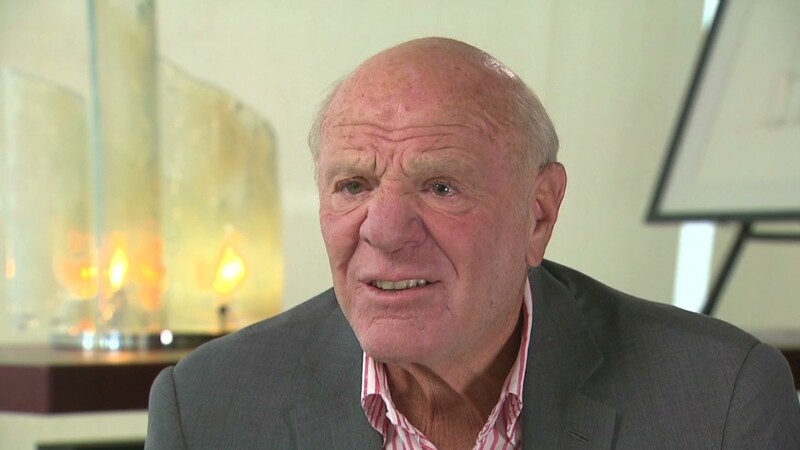 Barry Diller, chairman of the media giant IAC, was in the courtroom on Tuesday morning when the Supreme Court heard oral arguments in television broadcasters' high-stakes lawsuit against Aereo. In an interview on CNN's "Reliable Sources," his first since the hearing, he said he left the courthouse feeling more confident that Aereo would win the case. But, he added wryly, "it means nothing." "Nobody knows" what the justices will decide, he emphasized. The court is expected to rule on the copyright infringement case by early summer. Related: Watch the interview on "Reliable Sources"
Using thousands of miniature TV antennas, Aereo scoops up the freely available signals of local stations in cities like New York and Boston. Then it delivers the signals to the smart phones, tablets or computers of paying subscribers. TV station owners, including major media companies like The Walt Disney Company (DIS) and CBS (CBS), say that Aereo is violating copyright by allowing "public performances" of their shows. Aereo says it is only enabling only private screenings, just like off-the-shelf TV antennas do, but with added convenience. "Aereo is, essentially, simply an antenna device that replaces technologically what you used to have to do — to go up to your rooftop and erect an antenna," Diller said. He complained about some of the media coverage of the case, calling it "dopey." And he disagreed with Chief Justice John Roberts' depiction of Aereo as a "gimmick." "Rather than saying it's a gimmick, what we did is constructed a technological advance within law as we understood it," Diller said. Ever since Aereo was introduced in early 2012, Diller has said that there is "no plan B" if the courts conclude that the service is violating the law. He affirmed that point of view in the "Reliable Sources" interview. Asked whether he thought Aereo would ultimately lose, he said, "I think there's a 50% chance it'll lose. Of course, yes. Always, I thought that ... But I did not think that it would become this important a moment in the world of technology." He added that "Aereo, if it's successful, together with other services, may change and give competition to the closed system of satellite or cable. That's what it may do." Diller said he had never been to the Supreme Court before Tuesday. "They took themselves very seriously when they built that place," he quipped, "and they're keeping it up, in equal majesty and grandeur as the creators." He said he didn't expect to ever be back in court there.